I’m familiar with all of these herbs. Black cohosh is powerful and used in birthing communities. Chaste berry is used for fertility. This short book focuses specifically on the gynecological issues that many women face as they go through the “Change” [their word], such as fibroids and hot flashes. After reading the book, I found myself searching for images of these different herbs. Were they cold hardy? (Yes to black cohosh, st. john’s wort, and yarrow.) Would they attract bees? (Yes.) Would they be attractive in a garden? (Yes, many of these herbs appear to be very floral.) Were they too weedy? I didn’t find all of the answers, but I did find myself emboldened to try some of these in the garden. I’ve been enjoying more familiar herbs like sage and yarrow in gardens for years. Maybe it’s time to try something different, like st. john’s wort and black cohosh. This entry was posted in doula, garden, Uncategorized and tagged 7 Radical Weeds for Women Over 40, black cohosh, chaste berry, herbs, motherwort, nettle, oil infusions, radical weeds, sage, st. john's wort, tea, tinctures, vitex, Wild Woman’s Garden, yarrow on February 19, 2017 by sherewin. 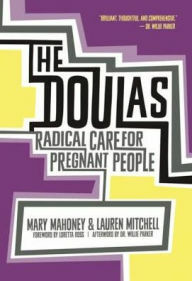 Awhile back, a colleague in the field of feminist medical rhetorics recommended The Doulas: Radical Care for Pregnant People by Mary Mahoney and Lauren Mitchell (though it must not’ve been too long ago because this book was just published in 2016). I finally got around to read it in preparation for a presentation I am giving on rhetorics of consent and advocacy in childbirth at a conference in March. First, notice that the title is “pregnant people,” not “pregnant *women*.” We know now that it isn’t just women who get pregnant and/or give birth. I emphasize pregnant and/or give birth because this books also acknowledges that pregnancy ends in many different ways–some more socially acceptable than others. For the most part, this book is politically sensitive to the wide range of experiences people have as it relates to pregnancy and caring for the pregnancy and/or childbirth experience (aka doula work). Doulas provide people with support, especially in situations that are less socially acceptable. Of course, there are also doulas who hold intense, open biases. Some won’t work with gay couples (the legalities of which I question), and some are vehemently pro-life. It’s been my experience, though, that, in general, the doula community tends to be quite open to, and advocates for, variations of the pregnancy experience. (Still, the doula interview is crucial because pregnancy and birth work is incredibly political and contentious.) Unfortunately, the current cultural climate is one that is still obsessed with policing women’s bodies. Anything from choosing abortion to opting out of an epidural can be, and is, met with resistance. Another approach I liked from this book is one of narrative medicine. Ina May Gaskin is notorious for writing childbirth guides that are full of childbirth stories. These stories work to help teach the reader about the many different healthy and normal experiences people can have in childbirth. This is important because when there is a very narrow definition of “normal,” and variations are treated as “abnormal,” interventions become the norm, and interventions too often mean trauma, surgery, injury, delayed bonding–the list goes on. Back to the book: for my own purposes, I didn’t need or want to read most of the content. I wanted this to be a more theoretical work, but it mostly wasn’t. I also had a hard time understanding the relevance of some of the content. -“These doulas call it “story-based care” because they hear many stories of people for whom some choices are straightforward, while others offer extreme complexity” (x). Since becoming a doula, I have been shocked by the number of *high stakes* choices that people have during pregnancy and childbirth. Navigating those choices and feeling empowered in through the process has been one of the most important aspects of my job as a doula. -“Racism can distort a birthing or adoption experience. Transphobia can lead to the denial of vital healthcare. Prejudice against immigrants can divide families through deportation. Misogyny can reduce pregnant women to walking wombs without rights” (xv). -“[Doulas] don’t sky away from naming oppressions–white supremacy, colonialism, xenophobia, homophobia, transphobia–yet they are not there to preach, but to serve” (xv). Sure, some doulas might preach, but one unique aspect of this type of work is that, for doulas, activism is in the work–making political statements through actions, through work within the institutions and with the people most affected. -“While much feminist and social justice activism was taking place online, the doula movement allowed activists to connect face-to-face with people confronting the realities of what the “spectrum of choice” really means” (xxi). -On people during pregnancy and childbirth: “Worse still, they suffer the loss of personal agency as decisions that should be private become politically and bureaucratically charged” (xxi). -On doulas: “People frequently refer to us as “advocates.” While we would not argue that point, we hope this book will show you how advocacy as a doula looks different from advocacy in other realms. Often it simply means this: we are “holders.” We hold space by creating safe, comfortable environments where our clients can be heard” (xxii). -“Our practice as doulas is a daily expression of the union between compassion and advocacy” (xxii). -“Though understanding systemic oppression is crucial to the way we approach doula care, we believe that individual stories have the ability to pierce the veil covering systems that affect millions of people; they are unique but universal” (xxiv). -“So much of doula work is that transference of story and the transference of emotional burden that goes with it” (xxvi). This entry was posted in books, doula, life, love, Uncategorized and tagged activism, advocacy, childbirth, doula, feminist, Ina May Gaskin, The Doulas: Radical Care for Pregnant People on February 17, 2017 by sherewin. 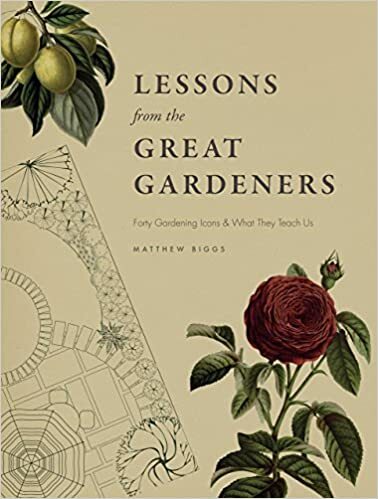 Before reading Lessons from the Great Gardeners by Matthew Biggs, I also checked out The Wild Garden by William Robinson and Rick Darke and My Summer in a Garden by Charles Dudley Warner. The latter two weren’t really my speed. The Wild Garden had some beautiful photographs, but I didn’t find the text to be very reader-friendly. My Summer in a Garden has a great title. I wanted to get lost in that book, but the tone and approach didn’t speak to me. When it comes to gardening, I want something that is real, and true, and earnest, and beautiful–like a garden. While some of these titles do offer that, it’s always along with the same kind of self-deprecating humor that doesn’t really speak to me. I enjoyed reading Lessons from the Great Gardeners. This book also had some lovely pictures. I liked the way it was organized. Each section named a gardener, provided their biography, a description of the garden, some lessons, and pictures, which included both beautiful photographs of the original gardens and beautiful botanical illustrations. Of course, there are only so many ways to say, “Experiment with color!” And, “Don’t be afraid to take risks!” And, “Think outside the box!” Still, this was a book I could get lost in. And did. This entry was posted in garden, Uncategorized and tagged gardening, Lessons from the Great Gardeners, My Summer in a Garden, The Wild Garden on February 7, 2017 by sherewin. 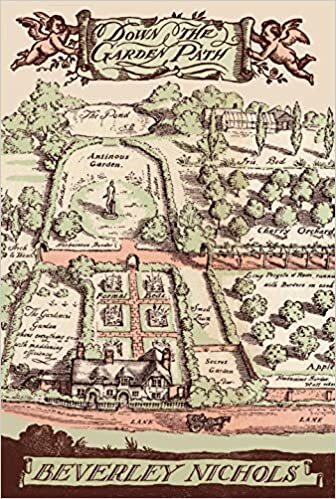 Before reading Down the Garden Path by Beverley Nichols, I quickly scanned Old Herbaceous and The Gardener’s Year, two old books on gardening that aren’t really about gardening, but more like old-timey, self-deprecating insights on the human condition. I, however, am in the mood to read gardening books, and so I settled on Nichols’ book because, while there was a lot of inappropriate humor (jokes at the expense of everyone besides wealthy white males), it was also about gardening. Nichols is clearly obsessed with every detail of the garden. I enjoyed reading about the painstaking work that went into his seeds and sprouts. I liked reading about the close relationship he had with his parents and their shared interest in gardening. The competitive relationship he has with the neighbor, Mrs. M, is enviable. -“I believe in doing things too soon. In striking before the iron is hot, in leaping before one has looked, in loving before one has been introduced” (9). -“There are certain very definite rules to be observed when you are Making The Tour. The chief rule is that you must never take anything out of order” (39). -“And yet, not quite silence. For if you hold your breath, and listen, you can hear the plants growing…” (211). -“It took a few million years to make a snowdrop. Surely one is justified in spending a few hours in studying the results?” (265). -“[S]imple, hardy flowers…forget-me-nots, schizanthus, nemesia, and sweet peas” (212). -“I would suggest the little purple vetch, the ragged robin, the scarlet pimpernel, and the speedwell” (222). This entry was posted in garden, Uncategorized and tagged aubretias, Beverley Nichols, Down the Garden Path, Elysian fields, forget-me-nots, gardening, nemesia, purple vetch, ragged robin, scarlet pimpernel, schizanthus, speedwell, sweet peas on February 4, 2017 by sherewin.